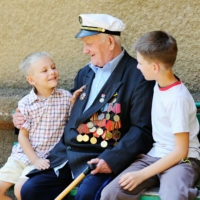 Veterans are offered many benefits for serving their country, such as tuition aid, housing assistance, medical care and pensions. There are many other benefits that veterans tend to overlook because they have no idea that they even exist. One such benefit is Aid & Attendance. Aid & Attendance is often overlooked, but has been around for more than 60 years. Aid & Attendance, called an improved pension, allows veterans and their spouses to receive certain benefits if they live in an assisted living facility or require a regular assistant. The assistant may be needed to help with daily tasks such as administering medication, eating, bathing, dressing and using the restroom. Bedridden individuals also qualify for Aid & Attendance. In this case, “bedridden” means that the person has a physical condition that requires the person to remain in bed. Voluntarily staying in bed does not count. Those who are blind (with corrected eyesight of 5/200) are also eligible to receive this benefit, as well as those who live in a nursing home due to a physical or mental disability. Aid & Attendance is paid in addition to one’s monthly pension. It can be used to pay for nursing home care, an assisted living facility or in-home care. It is a pension-related benefit. The benefits are available whether or not the injuries occurred during service. Aid & Attendance is available to those who meet service and disability requirements. They must also meet asset and income limitations. There are limits that apply. Veterans can receive up to $1,794 a month, while up to $1,153 per month is available for surviving spouses. Married veterans are able to receive up to $2,127 per month. A veteran with a sick spouse may be able to receive as much as $1,410 per month. This evidence should be from your attending physician and provide sufficient detail about the extent to which a person can perform daily activities. The report should also note what the person does on a daily basis and whether they are housebound or limited to a certain area around the home. Veterans often are denied benefits that they are entitled to receive. They lose out on tens of thousands of dollars that they deserve for serving their country. Don’t give up on your claim. Many veterans’ benefits such as Aid & Attendance are overlooked by servicemembers. Do you know about all the various forms of compensation you and your loved ones can receive? The Law Office of Michael Lawrence Varon in White Plains can assess your situation and find benefits to help you financially. Schedule your consultation today by calling 914-294-2145.